We are sad to inform SoulTrackers of the death of Reginald Torian, Sr., former member of the post-Curtis Mayfield version of The Impressions, and an independent artist in his own right. In addition to being a great singer, Torian was an advocate for social issues and an ordained minister. 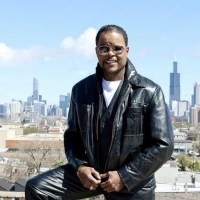 Reginald Torian, Sr. accepted a difficult position in 1972, taking over for a living legend in an iconic group, but he did the position and the group proud, and continued to please crowds for more than four decades with his passion and his vocal prowess. He will be missed.